Fitzgerald Glider Kits, the primary sponsor on the championship-winning No. 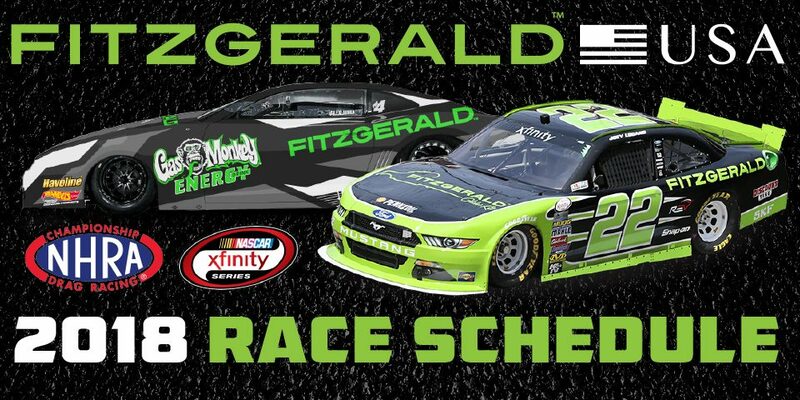 22 Ford Mustang for the majority of this season’s NASCAR XFINITY Series (NXS) races. As part of the enhanced agreement Fitzgerald is building 5 custom Polaris RZR 1000 UTV’s. 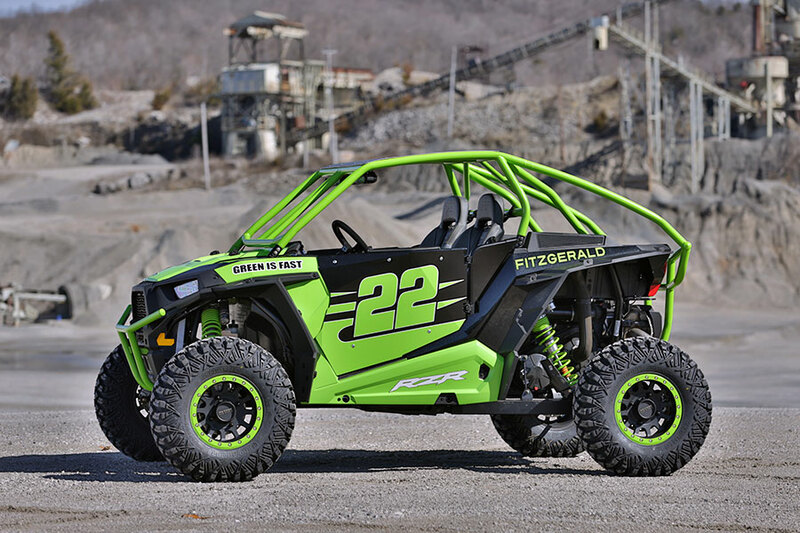 These machines will be awarded to the drivers who win with the Fitzgerald car in 2018. 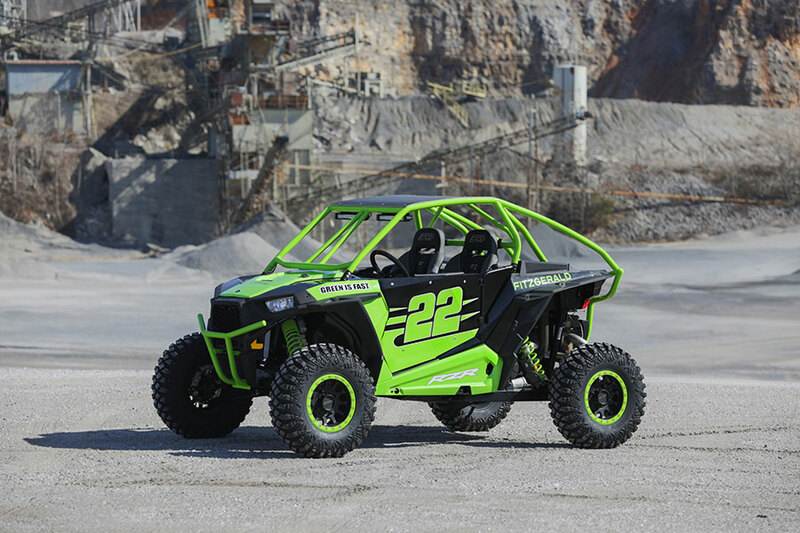 The first race is just around the corner, kicking off at Daytona International Speedway. Winning a race is a big deal, that’s what every driver sets out to do each and every time they get into the car. 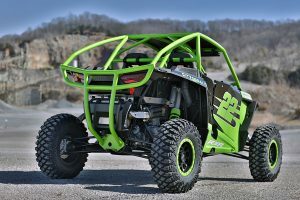 This custom RZR will just be a cool added bonus for the drivers. 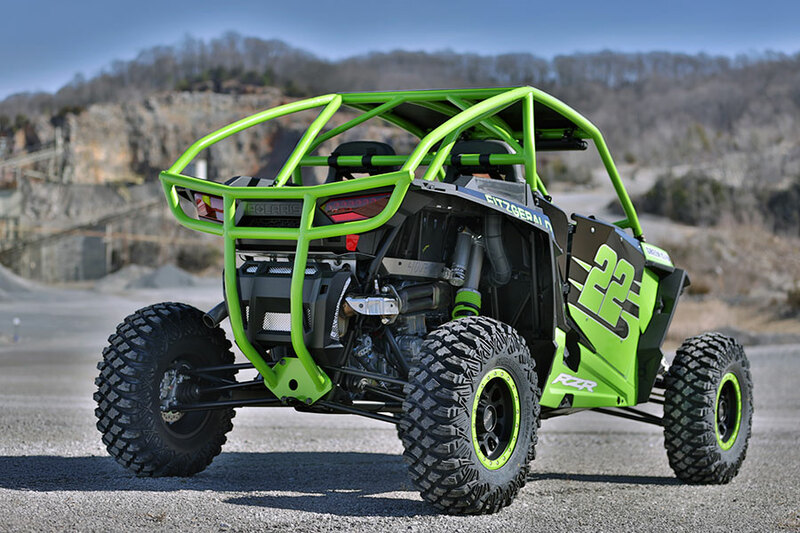 This 2018 Polaris RZR 1000 was built by RLC Motorsports out of Cookeville Tennessee. 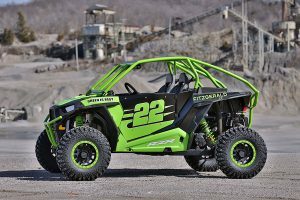 This is just one of 5 the company will build in 2018 for Fitzgerald Glider Kits. The RZR has a custom powder coated cage and bumpers built by Wide Open Designs. 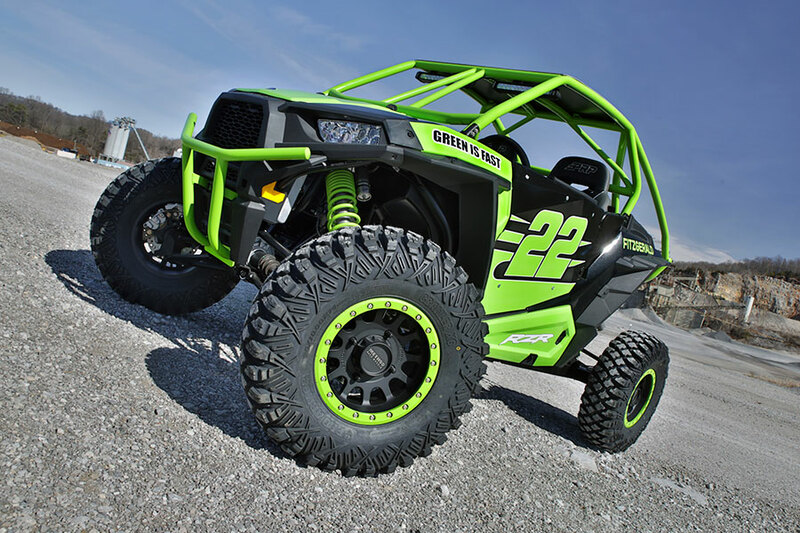 The method 401 beadlocks were also powder coated to match, then wrapped with a set of 30in Pro Armor XG tires. 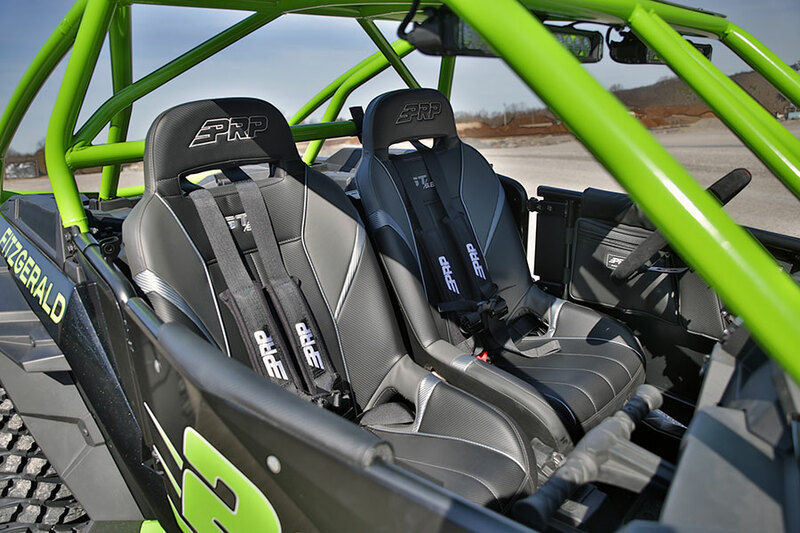 RLC Motorsports also installed PRP seats and doors to this awesome machine. 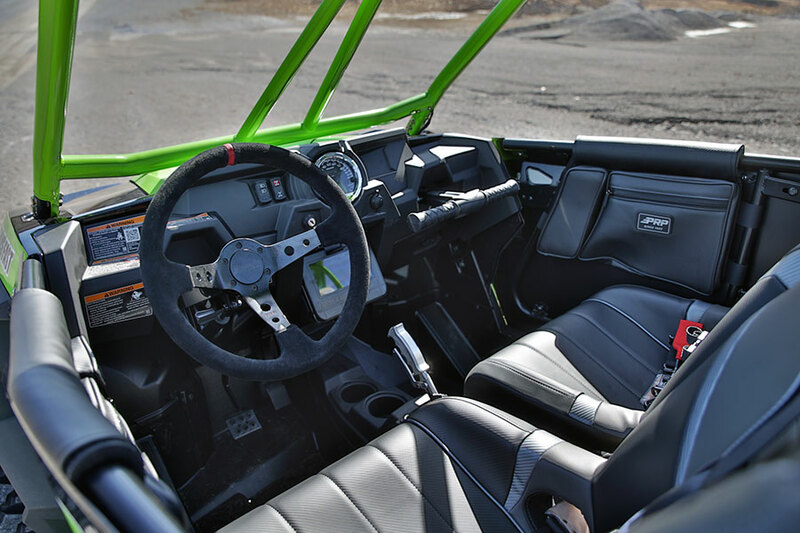 Some custom built accents inside the cockpit include a suede steering wheel with quick release adaptor from Dragon Fire and a Gear Grabber gated shifter. 5pt harnesses were added to give it a little more of a racecar kind of feel, giving the driver and passenger added safety when blasting through the trials. 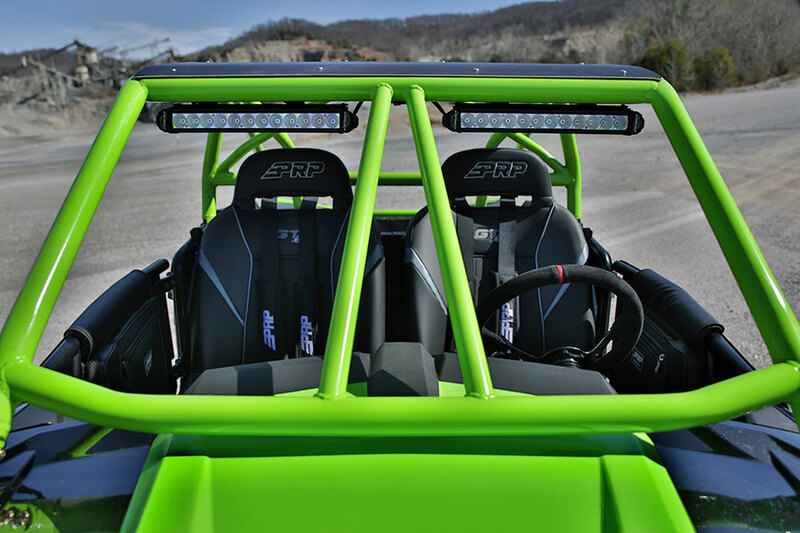 Two 14in single row LED light bars from Laser Star were attached to the custom cage to aid in nighttime driving. 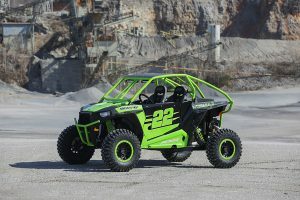 Finishing the overall look, the springs were custom powder coated and SignSmith of Crossville TN, applied the black and green vehicle wrap showcasing the #22 and Fitzgerald logo.